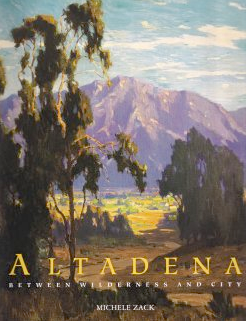 Many of Altadena’s grand homes still stand, but some of the grandest have been lost to fire and flood. 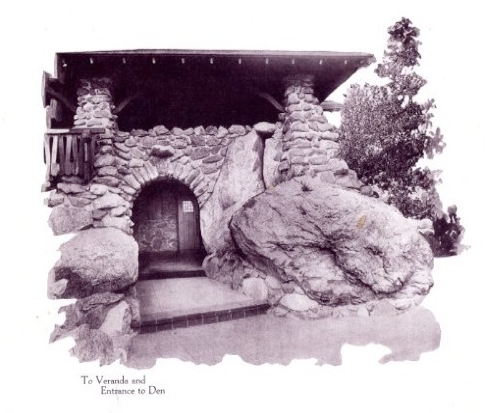 Boulder Crest, built by Reinhardt Busch (not of the Adolphus Busch family) and completed in 1914, was destroyed by the 1935 Las Flores Canyon fire that also wiped out La Vina Sanitarium and threatened the Cobb estate. 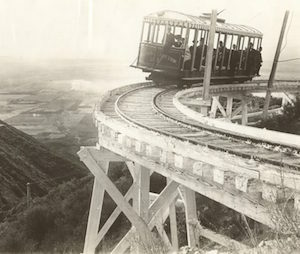 Hewn from Millard Canyon granite and El Prieto Canyon timber, the huge home was built overlooking the east edge of the canyon where the road curves to go up to the Meadows (photo below). The huge craftsman-like lodge was constructed in the Swiss Chalet style and featured spectacular gardens, bridges, an aviary and petting zoo. 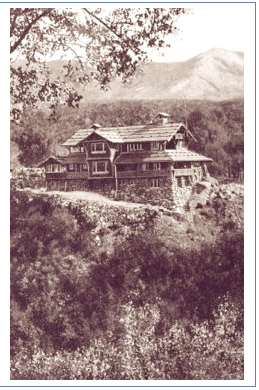 Busch published a brochure featuring the property. In it he boasted, “More than 200 men were here employed at different stages of this work, each one taking unusual interest, thus making it possible to achieve these results.” The caption describing the photograph featuring the ground floor entry (photo below) read, “At the door of this rocky castle [the visitor] turns through a gateway formed by two immense boulders weighing many tons – resting just where they were placed by the great Creator.” The cornerstone of the lower entrance stood 17 feet high. 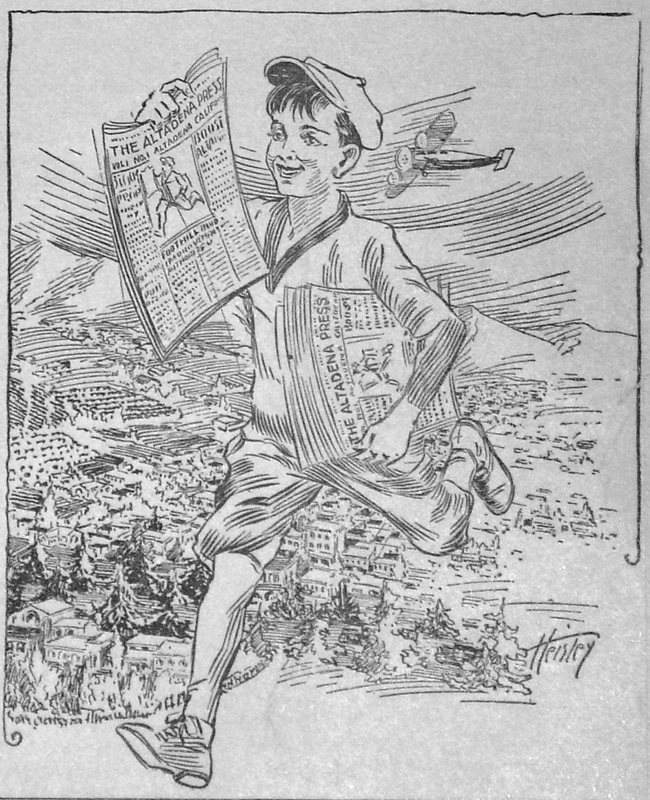 Busch wasn’t a wealthy man – he and his wife Mary were proprietors of a Los Angeles clothing store. 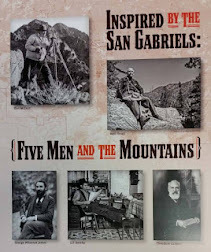 They received an inheritance and with this they built Boulder Crest where they entertained many prominent people including Thomas Alva Edison and Henry Ford. Busch lost everything in the 1935 fire. In 1940 the property was sold. Incorporating parts of the remaining masonry walls, the new owners built a contemporary house that still stands today.